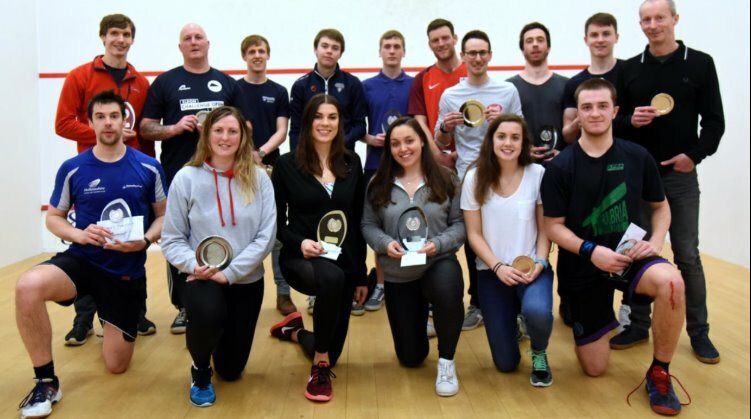 Top seeds Mark Fuller and Lucy Beecroft claimed the titles in the 2018 Northumbria Open in contrasting finals at Tynemouth. 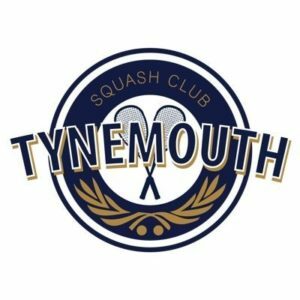 Beecroft, the two-time Northumbria County Champion back in the North-East on a mid-term break from Yale, took on reigning Northumbria champion Sam Ward and emerged the victor in three games. 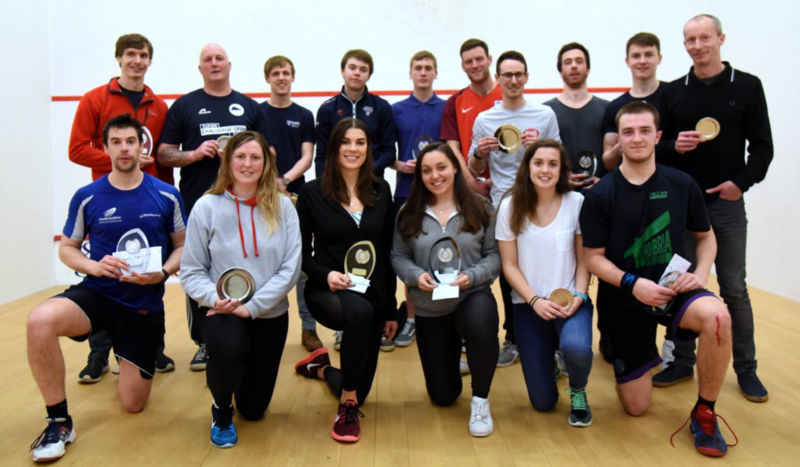 Fuller, the 32-year-old Nottingham-based world #141, had come through a tough draw to reach the finals against 19-year-old Stuart Macgregor, the second seed who had a bye in the semis. 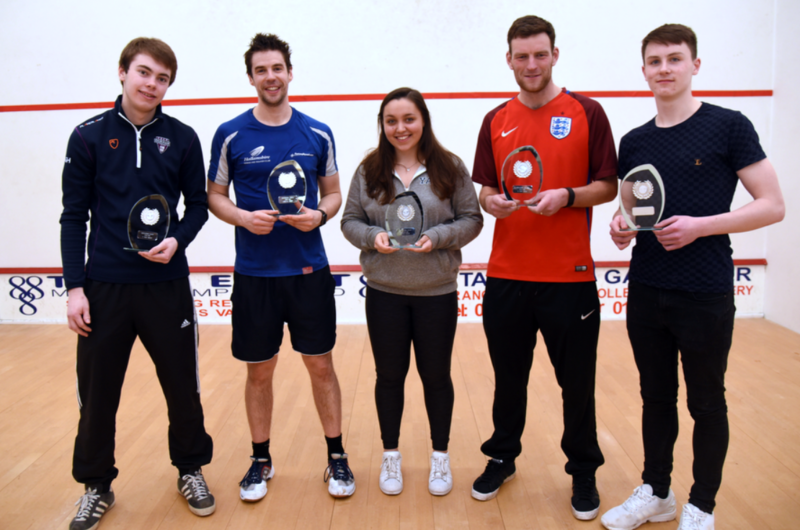 The Leeds Youngster took a two game lead but Fuller fought back, finally taking the title in a comfortable fifth. “We’ve played three times in a couple of weeks and he’s gone two nil up every time,” said Fuller. 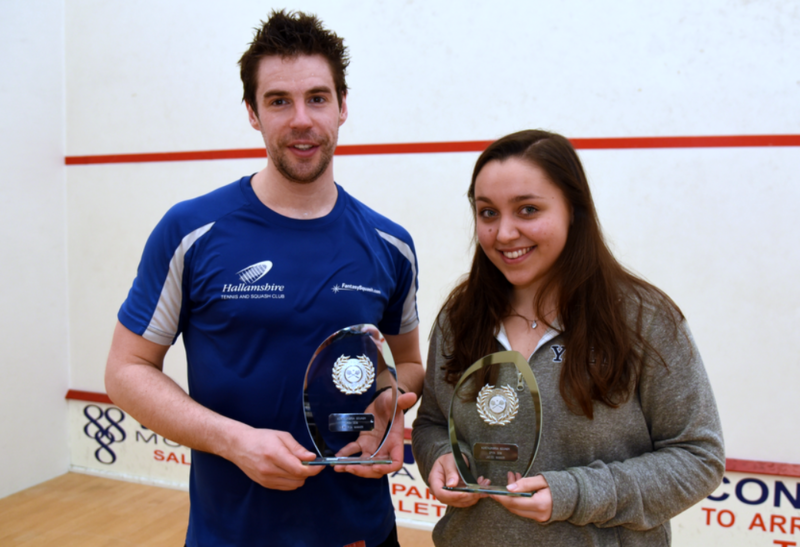 “So when he won the first two today I knew I had him,” he joked.